Below are some actual questions and comments we’ve received while we’ve been waiting to adopt, and our reactions to them. 1. Why don’t you adopt from [name of the country] instead? Many times this is the first question we get asked. If we are in a good mood, we might go through our speech that it doesn’t matter and that all children, regardless of their country of birth, deserve a loving family. 2. Isn’t it better if you spend the money on other causes? This is in the same league as the previous question. In adoption discourse, you will often run into people who believe you should direct your resources and efforts in other directions—ones that they believe are more worthy and deserving. 3. Can you return the baby? So far we have said something like “That’s not our plan!” What else can we say?! 4. Who would you rescue first if your house is on fire—your biological child or your adopted one? Sometimes the level of people’s imagination intrigues us. In such situations, a similar question might help: What would you do if you had two biological children in the same situation?! That would be us, too! 5. Aren’t you concerned that the baby might not be intelligent? We have tried to explain our perspective on the nature vs. nurture debate, as well as our views on the definition and measurement of “intelligence”. I would say that the explanation is usually not as well-received as we would have hoped. Yet based on our limited experience, I would say that the more “intelligent” the other person is, the less chance there is of hearing such a question from them! 6. What will you do if one day your child tells you he/she doesn’t want to live with you anymore? 7. Shouldn’t you talk to a counselor about this? The chances of hearing this question is much higher when you are considering adoption than when you are having biological children. I agree that knowledge and understanding about adoption are crucial. But when it’s the first reaction to your adoption announcement, it can be demoralizing. 8. Are you planning to tell your child that he/she’s adopted? Sometimes it’s hard to understand what goes inside another person’s mind. Some people believe that an adopted child isn’t a “real” child in the same way that an adoptive parent isn’t a real parent. We try our best to set them straight but chances are that for some people our explanations won’t change a thing. While we’ve waited to adopt, we’ve learned that people have many misunderstandings and biases about adoption. Although we believe it’s important to raise awareness about the issue, we’ve decided that for our sanity — and our future family member’s —we need to tailor our answers according to the audience and the context. 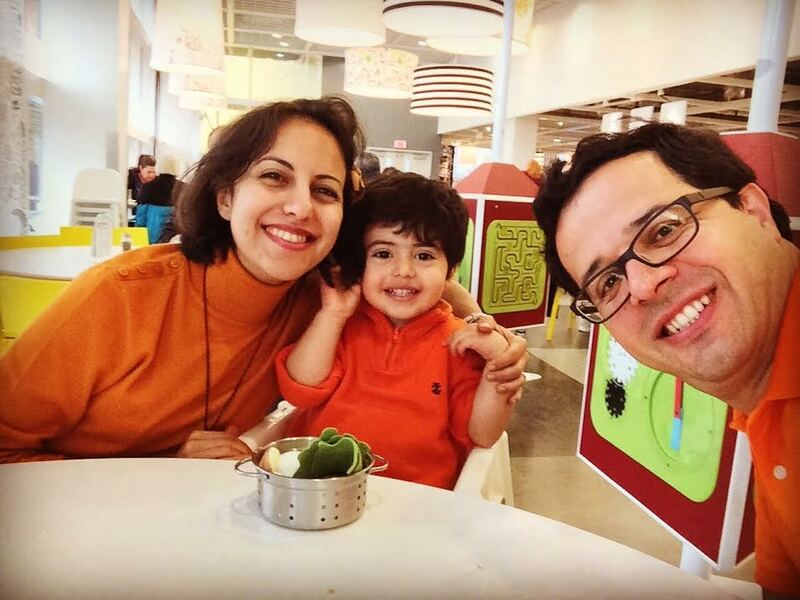 Roozbeh, his wife, Elham, and their son live in New York. They have been in the adoption process for the past five years and hope to be matched with an expectant mother soon. Learn more at their adoption profile. Do you have an open adoption story? Share it with us today.